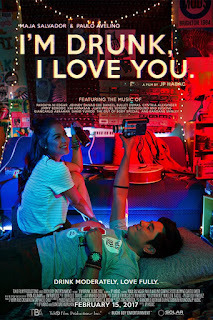 A romantic-comedy movie, I'm drunk I love you, starring the phenomenal tandem Maja Salvador and Paulo Avelino directed by JP Habac under the Tuko Film Productions and Buchi Boy Entertainment. Released in the cinemas last February 15, 2017. 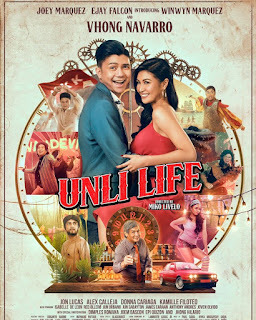 The story of a two best friends Carson (Maja Salvador) and Dio (Paulo Avelino) having a last road trip before they graduate and be able to determine what is really their feelings for each other. Carson have secret feelings for his best friend, Dio, for a long time. Hiding it to preserve the friendship but she realizes that she should stop being a coward and admit it to Gio. That's why she come up with the idea to have a road trip with him and her another friend. While on the trip they met a girl played by Jasmine Curtis that catches the attention of Dio and ended up in joining their trip resulting to a change of the road trip whereabouts. This movie is not a love story, rather a confrontation of two individuals to each other before they apart. The much awaited funny hugot lines of Carson to Dio. It's a must see movie of this year .